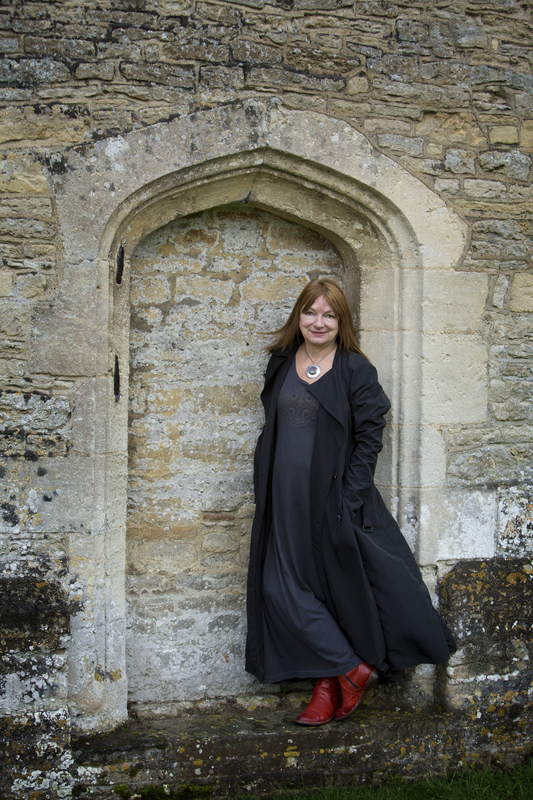 I am delighted to welcome fellow Accent writer, medieval history lover, and Robin Hood fan, Carol McGrath to my site today! First of all thank you, Jenny, for hosting me on your blog today. I always find authors’ writing journeys intriguing. Usually a writer’s expedition into the world of publication is a mix of very dedicated work mingled with that precious little bit of good fortune when it comes to finding the right agent and/ or publisher for your work. My own writing history towards the golden globe of publication was the result of a dedicated effort to hone my writing skills and to an extent it was accidental. I’ve always scribbled. I wrote little books as a small child that were usually inspired by Enid Blyton’s adventure stories and the legends of Robin Hood. I also loved to write poems. My first published piece was more serious and poetic. It was about Vietnam’s terrible war and appeared in our school magazine. For the very first time, this month I am visiting Vietnam and Cambodia. It will be a fascinating trip. I never thought anyone would seriously want to actually read anything I wrote. Whilst my children were growing up, I taught part-time in a High School. I attended day-school writing courses at Oxford Continuing Education. We were a close knit group that signed up year after year to the same tutor’s course. Some of my fellow writers came from writing families. I remember Eliza Packenham’s suffragettes fondly and Molly Keane’s daughter, Virginia, who was writing a children’s book set in the west of Ireland. Our tutor, Angela Hassell, encouraged me to send chapters of a novel I was working on to agents. This oeuvre was a saga set in Ireland in 1919 at the dawning of the Irish Civil War. I never did attempt to publish this novel because I had little free time to end the tale. However, writing it was a wonderful escape from a busy modern life. Now, so many years later, I often think of finishing it. I studied for a two year diploma course in creative writing at Oxford University’s Continuing Education. Again, I never considered publishing. 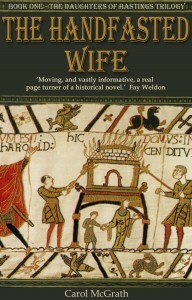 The seeds of my first published novel The Handfasted Wife were sown at this time, after a trip to Bayeux in Normandy. I wanted to write a radio play for my portfolio and was fascinated by a story I came across then, that King Harold’s wife identified her husband’s body on the battlefield by marks only known to her. King Harold had been defeated by William of Normandy who famously invaded England in 1066. I wrote the play and for a time forgot all about it. Only today I have been listening to it on audible, thinking of those voices from history that came to me all those years ago when I first wrote the play. The narrator got those tough Anglo-Saxon noble women right. It is a pleasure to listen to them speak via my I pad. Who would ever have thought I would one day hear them? Some years later, after completing an MA in Creative Writing at Queens University Belfast, I did consider that I was ready to send my work out to agents. Another Irish story set in 1910 was completed inspired by my MA. work. I called it The Damask Maker. A number of agents read the full manuscript. It clearly was not ready because they all suggested I did this or that to it. It is still waiting my attention and a possible name change. Instead of reworking the spongy mid-section of that novel, I went on an MPhil course ( English and Creative Writing) at Royal Holloway, University of London, and fell utterly in love with the story I began to write there. 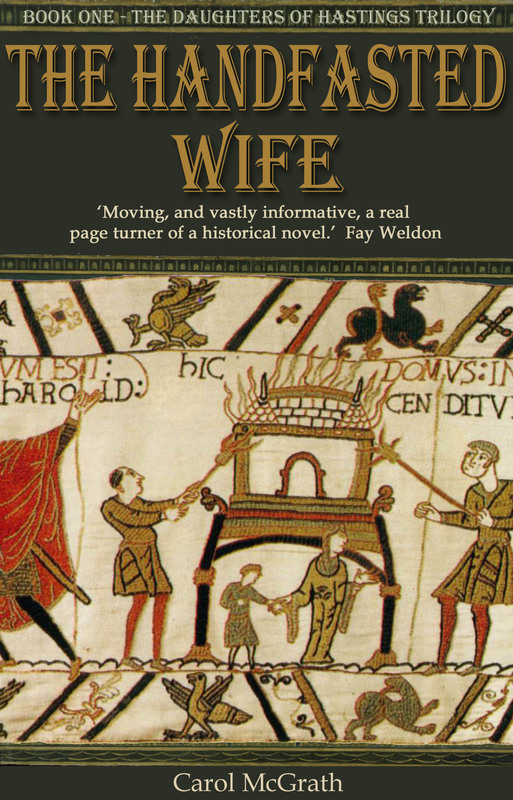 My first published novel, The Handfasted Wife, inspired by that long ago trip to Bayeux, was written on this course along with a thesis on how Romance tempers Historical Fiction. The novel took me three years to write. Its protagonists haunted me and, equally, England, before and after The Norman Conquest intrigued me. This manuscript was picked up by my RNA New Writer’s Scheme reader, jay Dixon, who had just become a commissioning editor for Accent Press. When I told jay that I was thinking about a trilogy to continue the story I had begun in The Handfasted Wife, she commissioned all three for Accent Press. 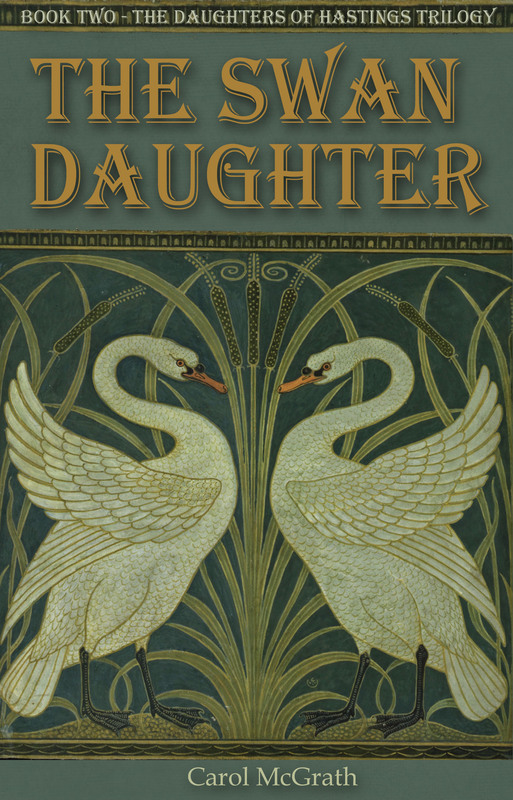 If I liked writing The Handfasted Wife, I liked writing The Swan-Daughter even more. This is the story of King Harold’s younger daughter Gunnhild and her fate after The Norman Conquest. 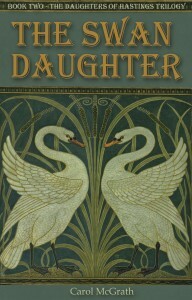 I have just sent The Betrothed Sister, the final novel of this trilogy to Jay. I have not looked back. I am researching a new trilogy set in the thirteenth century, so Jenny, watch out because I shall be consulting you about ballads of the period, on which you are an expert. I have thoroughly enjoyed my road to publication. There was no angst and no stress. I think I gradually grew into my route to publication, and looking back it feels as if it was a natural progression for me. I have always loved writing and telling stories. Reading Historical fiction was ever a passion and writing it well, whilst challenging, has been a very satisfying experience. Nowadays, what was a once upon a time hobby is now a full time job and it is certainly one that I enjoy. I have one obvious tip if you want to be published- enjoy what you write, write it well, hone it and stay with it. Make sure it is ready and be determined to publish it when it it. I wish Jenny Kane every success with Cup of Champers. I have read her novels and love them. Great blog! I would be honoured to help out with your ballad research when the time comes- Ronin Hood fans unite! 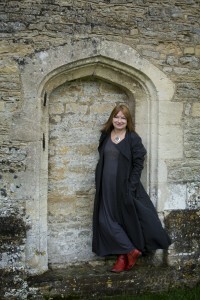 There is something very special about the stories from our medieval past. They had a magic that encapsulates the period. I am so impressed by all you have achieved. Congratulations on living the dream. I too grew up reading Enid Blyton and also the tales of Robin Hood, as well as Long John Silver and Swallows and Amazons – such adventures inspire and get the imagination fired up. I wish you much success with your writing. Do go back and visit your other works, I am sure you will be inspired to complete them. Thanks for this fab interview Jenny and Carol. I loved all those stories as a child. As a teenager I read Jean Plaidy and Anya Seyton. My aim is to be the updated Plaidy though I shall never match her out put of course. I want to write about the less obvious queens and nose out great stories for them. I know I will enjoy reading your novels very much, Carol. It was really interesting to read about how you came to be a published author, and how your novel grew and matured over a number of years before you felt ready to complete it. If there is one thing I learned about writing over the past few years, it’s patience. You are also completely right about the necessity to enjoy what you are writing. Some people say you have to ‘write what you know’, I say you have to ‘love what you write’! Good luck with your next project. Thank you for that wise and lovely comment. I do hope you read and enjoy the stories.